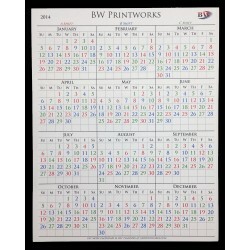 2 - 12 Month Single Sheets (8.5 x 11) 2 - Mini Calendars (4 x 5) 2 - Wallets (Synthetic) (Save 5%)This is the most economical of our packages, consisting of 2 Single Sheet Calendars, 2 Mini Calendars, and 2 Wallet Calendars. This package provides all the basics for keeping track of your scheduled work days while keeping plenty of money in your wallet. 1 - 12 Month Single Sheets (8.5 x 11) 2 - Wallets (Save 10%)This is the most economical of our packages, consisting of 1 - 12 Month Single Sheet Calendar and 2 - Wallet Calendars. This package provides all the basics for keeping track of your scheduled work days while keeping plenty of money in your wallet. 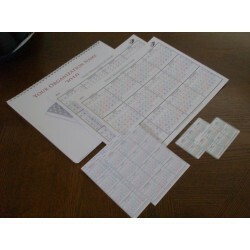 1 - 12 Month Magnet (8.5 x 11) 2 - Wallets (Save 5%) This is our classic Economy package with a twist. 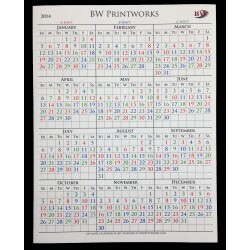 It consists of 1 - Single Sheet Magnet and 2 - Wallet Calendars. This package provides all the basics for keeping track of your scheduled work days, but includes a Magnet for the refrigerator at home.